BY BLESSED MHLANGA – PRESIDENT Robert Mugabe’s month-long annual leave, which started this week is set to gobble at least $6 million in taxpayers’ money as he pampers his family including a huge entourage in the Far East at a time the economy is stuttering. This came as the majority of civil servants will receive their December salaries in January next year.Former Finance minister, Tendai Biti, yesterday alleged that Mugabe collects at least $4 million from Treasury each time he embarks on his foreign junkets and about $6 million for his month-long annual leave, leaving government coffers dry.Biti, who now heads the opposition People’s Democratic Party, said the money covers transport, accommodation and allowances for Mugabe’s family and his large entourages. “Every time the President leaves the country he takes with him $4 million in hard cash which in most cases is raided from the RTGS system. This is part of the reason why we have cash shortages, because accounts for ordinary people have been raided to fund unnecessary travel. With his relatives and security personnel over the month-long holiday he could spend close to $6 million,” Biti said. But, Information minister Christopher Mushowe, yesterday scoffed at the allegations, saying he would not lose sleep over remarks made by “jobless people”. “I am the chief government spokesperson and I don’t comment on hearsay. Bring the transcript of what he said and I will comment appropriately,” he said. Government has failed to pay civil servants their December salaries ahead of the festive season, with the majority now expecting to be paid on January 3 next year. Treasury has remained mum over their 2016 bonus payment. MDC-T spokesperson Obert Gutu urged Mugabe to cut down on his foreign travel and spend his holiday at home to save the scarce foreign currency. 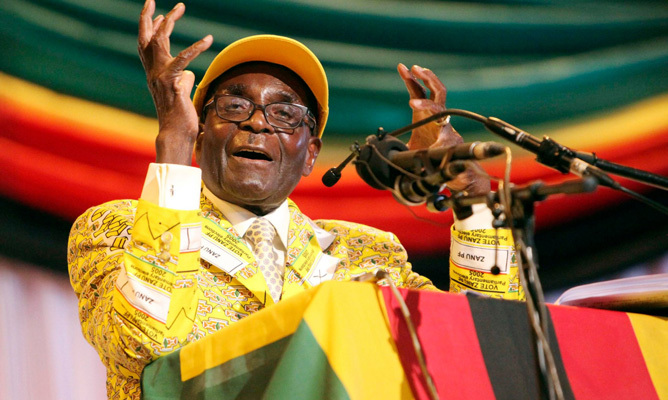 “The Far East is President Robert Mugabe’s holiday destination of choice. This is a colossal embarrassment to have the entire First Family and their in-laws flying more than 10 000km away for an extended holiday at State expenditure. Other leaders like President Jacob Zuma of South Africa are spending their holidays at their rural homes in Nkandla, KwaZulu Natal, but Mugabe can never spend his annual holidays at local tourist resorts such as the Victoria Falls, Kariba or Nyanga,” Gutu said. Mawarire said Mugabe’s endless foreign trips were draining the economy and scuppering any prospects of an early economic recovery.